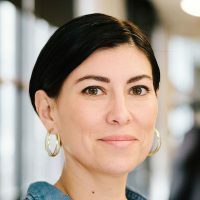 Sarah Alvarez is lead reporter and founder of Outlier Media, a news and information service for low-income Detroiters. Alvarez, Sarah. "Simplify and redistribute." Nieman Journalism Lab. Nieman Foundation for Journalism at Harvard, 12 Dec. 2018. Web. 23 Apr. 2019. Alvarez, Sarah. "Simplify and redistribute." Nieman Journalism Lab. Last modified December 12, 2018. Accessed April 23, 2019. https://www.niemanlab.org/2018/12/simplify-and-redistribute/.